After four years in the Marine Corps, Samuel Warren considered a few different career paths. 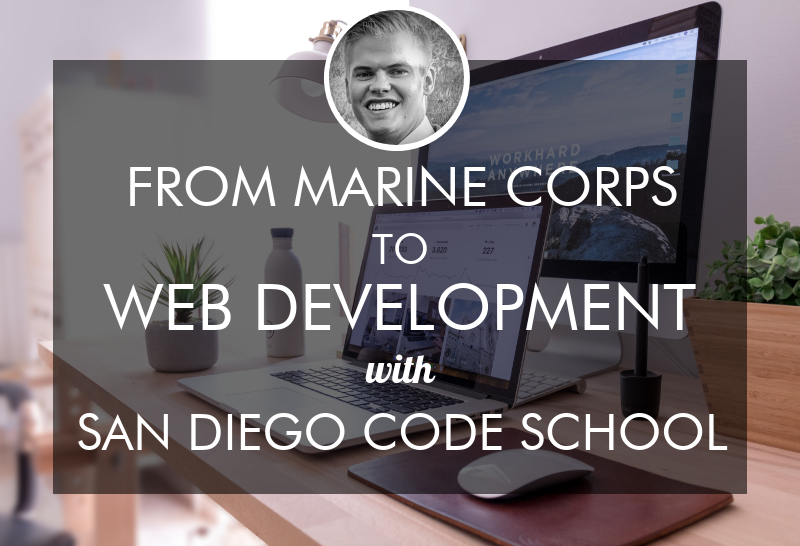 He decided to develop his analytical side by enrolling at San Diego Code School (SDCS) and found his military background had prepared him for an intensive learning experience. Samuel tells us about the real client project he built and how it’s helping him through the job interview process – see his advice for other new developers graduating from a coding bootcamp! What were you up to before attending San Diego Code School (SDCS)? I have a military background - I was in the Marine Corps for four years as a parachute rigger and had a great experience. I knew pretty immediately that I wasn’t going to serve past my initial contract, so once I transitioned into the civilian environment, I got a degree in communications. I also worked as an EMT for a couple of years because I was interested in the medical field or perhaps becoming a firefighter. After realizing that wasn’t for me, I got an office job working in compliance. During that time, I started thinking about my professional strengths and what I enjoy doing. I am quite analytical, so I was tasked with different projects that required going through really terse documentation and coming up with solutions. I also had opportunities to teach myself Excel and create simple programs for those projects. 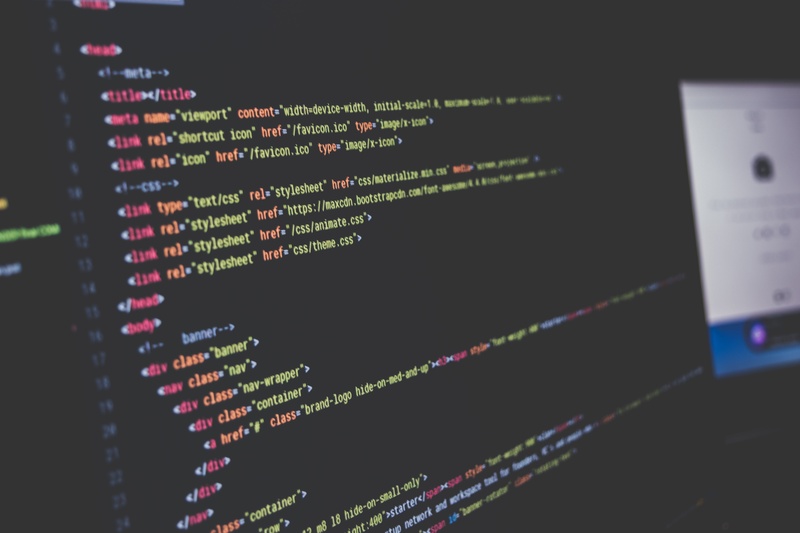 How did you hear about coding bootcamps as a way to transition your career? I initially heard about bootcamps from my father who works in the tech industry. His barber was actually about to make the transition from becoming a barber to becoming a developer – that gave me some confidence hearing that others who didn’t have a background in tech were making a career transition into tech through a bootcamp. I did some comparing and I ultimately chose SDCS because of their employer network and their lower cost. I looked over the syllabus with my dad and he confirmed that I would be learning all the current tools and programming skills. Did you draw any comparisons between your time in the Marine Corps and the coding bootcamp? What was the SDCS admissions process like for you? Talk about a typical day at the bootcamp - what was the learning experience like? We began each day with a coding challenge or a mock programming exercise for the first hour or two, working in either a partner or group format. That got us communicating problem sets and working together, trying to come up with solutions together. After that, we’d break and start working on the curriculum. The environment is pretty dynamic – there’s no structure in the traditional classroom style, no teacher offering a lecture - we code the projects and when we need help we speak with each other or bring the problem to the teacher. We learned a process to systematically solve problems before we ask a teacher for assistance - we might Google the problem and ask another person before asking questions. Note: SDCS is still a full-time (40 hours/week) commitment, but in-person classes are now held on weekends and have the ability to work part-time while taking the course. Who were the students who were learning with? What was your cohort like? Being in the classroom with other students has been really important. It gives us that accountability, helps us bring ourselves to each other, reinforce previous knowledge, and look at problems in a different way. My cohort had about five people - one girl, four guys, and our ages ranged in the 20s and 30s - a couple of people had kids. Would you recommend someone teach themselves (via Free Code Camp or another online resource) before the SDCS bootcamp or do you think they can enter as a complete beginner? What was your favorite project you worked on at SDCS? I think my favorite was my final project - unfortunately, it’s not featured on my portfolio because we built it for a private company and it needs a few more iterations before it’s ready. However, it was exciting for my partner and I because we got to set up the foundations of the tool and gain some real world experience. We worked with an actual client and we built a front-facing online portal. We worked off of their style guide to style it according to their color scheme and logos. It needed to be responsive and look good on a phone, computer, or tablet. The biggest problem we had to solve was that they needed a single sign-on (SSO) solution. That wasn’t part of our curriculum at SDCS, so we had to figure that part out ourselves. It was neat to apply some of our knowledge to learn server-side technologies and some back end elements. Because we had those foundations established, we were able to understand documentation to solve the client’s requirements. We’re happy to be able to say we delivered! Plus, we’re able to put that client project on our resumes and show it to future employers. Did SDCS set you up with that client? SDCS shares physical space with other smaller entrepreneurial companies, so they have established partnerships offering student developers to help the companies on some projects. Congrats on graduating from SDCS! What are you up to today? I graduated about two weeks ago and I’m currently on the job hunt. SDCS isn’t finished with you once the curriculum is finished. The teachers are helping me work on my resume and clean up previous projects so they’re a bit more presentable. This past week I’ve started the real job hunt - I attended a job fair and got a follow up interview with RedHat. The first interview with them went well and actually took me by surprise! It was pretty traditional, so I’m anticipating some tech questions in the next round. Is SDCS Career Services helping you prepare for that interview? Absolutely, they stick with you as you job hunt. The expectation is still that you’re coming in to the classroom every day to keep coding until you get a job (at no additional charge). They also offer mock interview practice. Their ultimate objective seems like they want you to get a job - it’s not this transactional thing where once you get the curriculum you get booted out. What’s been the biggest challenge or roadblock in your coding journey? I think the biggest challenge has been the “imposter syndrome” feeling. I felt it more so during the curriculum, when I was having a hard time coming up with a solution to a problem and I would start questioning whether I was smart enough for this material. That was initially the biggest roadblock, but I would say by the completion of the course, I overcame that. I learned to expect that challenges will arise, but I’ll be able to figure it out within a couple of days. I have a bigger perspective on these challenges and I’ve developed some strategies to better handle those situations. What advice would you give to someone who is considering a coding bootcamp to make a career change? Don’t give up. If you sign up for a bootcamp, you have to know it’s going to be difficult. There’s a reason why developers make decent money – the job isn’t easy, there are lots of challenges but there’s also a lot of good. When you come up with a solution, it’s so exciting, rewarding, and fulfilling. If you’re thinking about it, take the leap and do it with the expectation that it’s going to be hard and don’t give up on yourself in the process. Get a good night of sleep and seek help if you need it - the people working at these bootcamps are there to help you succeed, so you don’t have to do it on your own. Interested in San Diego Code School (SDCS)? Visit their website to learn about their Full Stack Web Development bootcamp and read more reviews on Course Report.